Wärtsilä and other marine industry players have formed a coalition, known as SEA/LNG, to accelerate the widespread adoption of liquefied natural gas (LNG) as a marine fuel. The coalition aims to help break down the barriers hindering the global development of LNG in marine applications, thereby improving the environmental performance of the shipping industry. 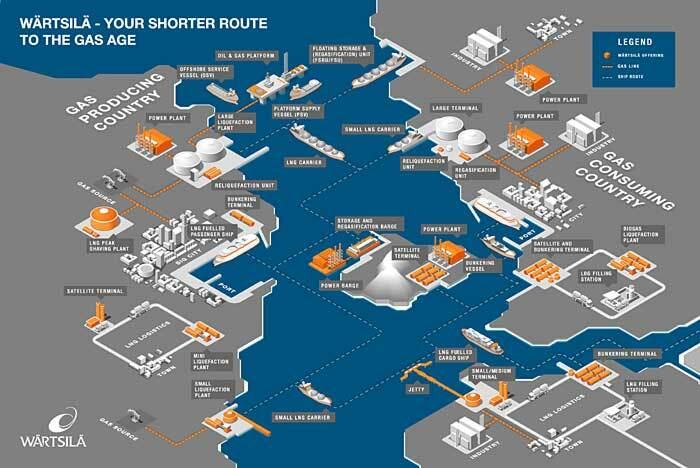 In addition to Wärtsilä, the other partners in the SEA/LNG coalition include Carnival Corporation, DNV-GL, ENGIE, ENN Group, GE Marine, GTT, Lloyds Register, Mitsubishi, NYK Line, Port of Rotterdam, Qatargas, Shell Downstream and Tote. Each member organisation commits mutually agreed human resources, data analysis, and knowledge sharing in support of the SEA/LNG initiatives and activities.